I love the moment where everyone is watching the bride approaches her wedding ceremony on the arm of her father, and in this photo, I was able to capture the faces of a lot of people smiling at the pair. There's the bride's mom on the left, the maid of honor and best man along with the officiant in the back, and of course the groom in the center. 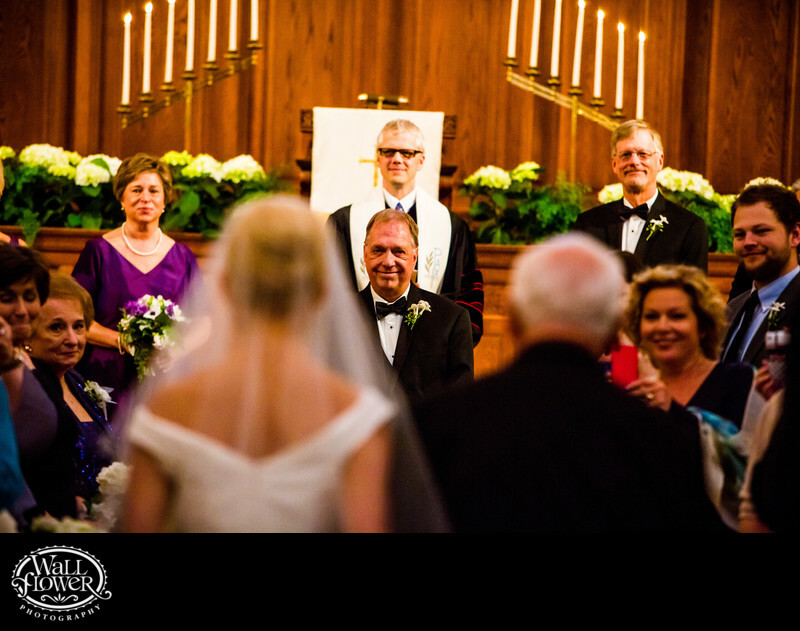 This wedding ceremony took place at the grand First Presbyterian Church in the Stadium District of Tacoma, not far from Wallflower Photography headquarters. This wedding was featured in South Sound Wedding and Event Magazine.